Edgewater Markets is expanding its focus in LATAM, launching a new office in Santiago. Edgewater Markets has expanded its influence in Latin America (LATAM), launching a new office in Santiago, Chile. The move represents the group’s latest foray into the region, installing capital markets specialist Jose Antonio Buenaño in a new senior role. NY-based Edgewater Markets has offices in London, Singapore, Los Angeles, Chicago, and Mexico City. Per the expansion, the group will be expanding its FX aggregation and distribution channel to Santiago, Chile. The move also reflects Edewater’s enhancement of its LATAM distribution network to an expanding regional client base. The launch of its new office is is the result of growing client demand in LATAM as a whole. While a largely enigmatic market, LATAM does hold strong growth prospects for venues. The office will allow Edgewater Markets to provide bespoke trading services and improve access to liquidity and credit to a larger pool of regional clients. In tandem with the opening of the office, Edgewater Markets has also on-boarded Jose Antonio Buenaño to head the office. His mandate will be to expand the company’s overall LATAM presence, given his familiarity with the region and lengthy experience. He has had a decorated career in the capital markets space spanning over two decades, working at multiple corporate and investment banks. Most recently, he held the role of Head of Financial Institutions Derivatives Origination for Latin American clients at Sumitomo Mitsui Banking Corporation. 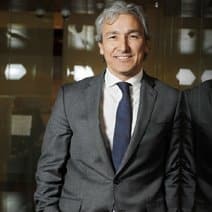 He was CEO of securities dealer firm Tanner Corredores de Bolsa and has worked in several senior management positions in New York City at Credit Agricole and the Royal Bank of Scotland as Head of Latam Sales focusing on Financial Institutions in Brazil, Chile, Colombia, Mexico, and Peru. Mr. Buenaño’s familiarity with the LATAM space and financial markets will be an asset for Edgewater Markets, especially in his new lead role. “We are extremely excited to have Jose Antonio join Edgewater. His extensive experience will allow us to further build the Edgewater brand and to continue to focus on customer’s FX needs,” explained Skovran Schreder, co-founder and CEO of Edgewater Markets. “This new region for Edgewater is a natural extension for us as it allows us to leverage the tremendous growth and success we have had in Mexico while also filling a gap in FX services in the region,” he added.